Did Nike CEO "John Regale" resign after the controversy that erupted around Nike's sponsorship of Colin Kaepernick? No, that's not true: that's not even the real name of Nike's CEO. 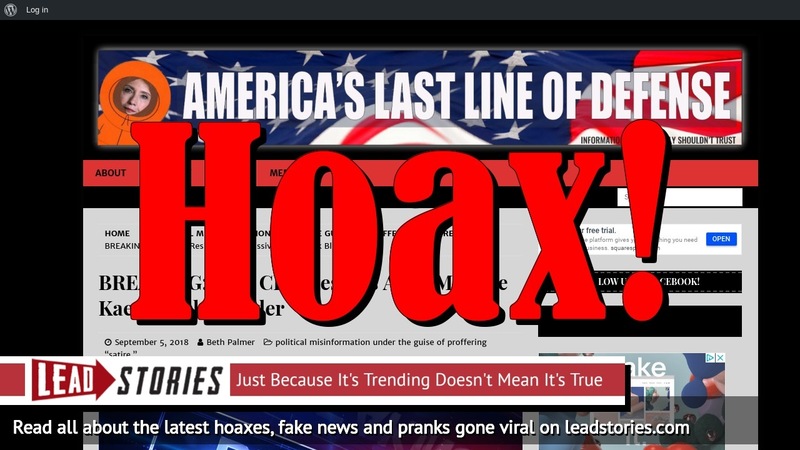 The hoax was created by a liberal website that likes to invent stories labeled as satire in order to trick conservatives and Trump supporters into sharing fake news so fans of the site can then mock them online for it. None of it is real. Nike is in chaos after their decision to hire anti-American football washout Colin Kaepernick for their 2018 "Just Do It" campaign. Not only has the company experienced massive stock drops, and contract cancellations over their decision to hire Kaepernick, who is currently suing NFL owners for "collusion" -- an allegation as phony as Democrats' accusations against President Trump. Now, the CEO has resigned in shame. Fox News reported Wednesday that CEO John Regale was forced to resign after the company's latest financial blunder. "Facing backlash from all levels of the company, Regale elected to resign from his post," Fox Business anchor David Asman said Wednesday. "This leaves a hole in Nike leadership that will be difficult to fill because they will need to find someone who will not make such a colossal blunder." He has not announced his resignation. All the other events listed in the story are also not true and the links either point to more fake news articles or a discussion about sexuality (instead of Fox News).